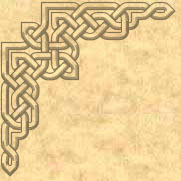 Create custom Celtic, medieval and Renaissance designs for your scrapbooks! 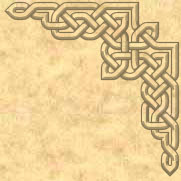 Create beautiful custom Celtic Knotwork borders, embellishments, backgrounds, photo frames and more for scrapbooking! 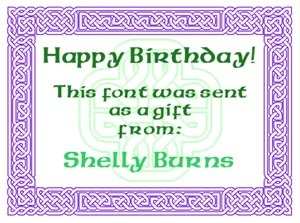 The Celtic Knot Font is perfect for scrapbooking! 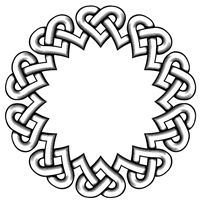 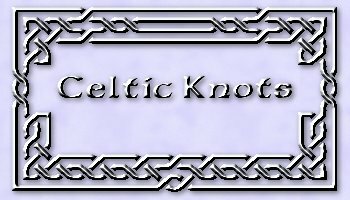 Create unique Celtic knotwork on your computer - in minutes you can have exactly the perfect design for your scrapbook project ! 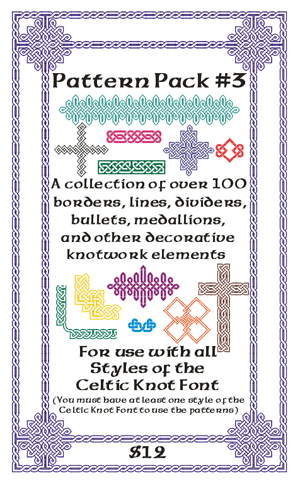 Use the Celtic Knot Font to create backgrounds, borders, photo frames, embellishments, stencils, stickers, cards and more. 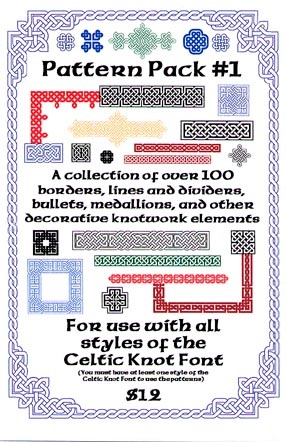 With the Pattern Packs, get hundreds of fully editable and scaleable royalty-free designs made with the Font - better than clip-art! 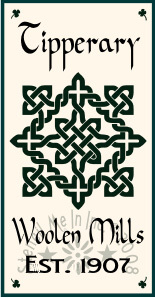 Sharon of ScrappyCeltics.com created these for her scrapbooks using the Celtic Knot Font. 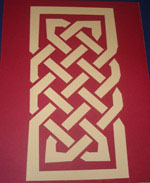 The Celtic Knot Font makes wonderful borders! 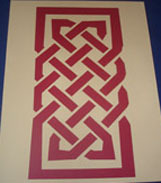 It's easy to make decorative interlaced designs in any shape you want. 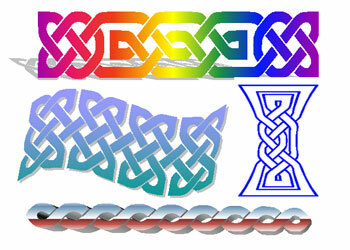 With the Celtic Knot Font in Microsoft Word, you can make all kinds of fancy shapes and color combinations. 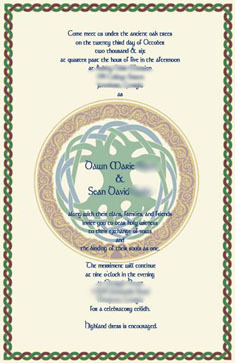 Of course, if you have Photoshop or a similar program, you can do amazing things with the Font! 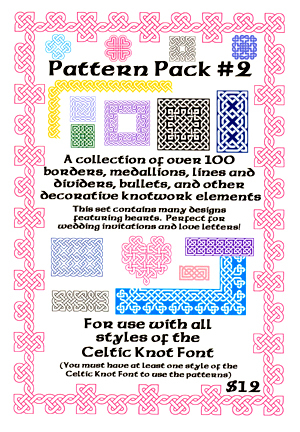 The three available Pattern Packs give you hundreds more fully editable royalty-free designs! 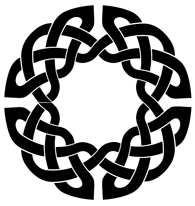 Use them as-is or modify as desired with the Font. 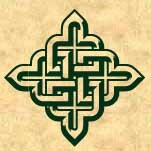 They all work with any Style of the Celtic Knot Font. 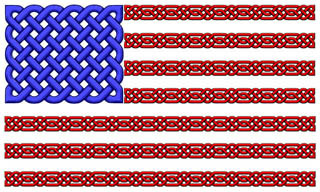 Vector based, they scale to any size and work perfectly in any graphics program as well. 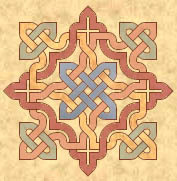 Hundreds of royalty free designs in each Pattern Pack! 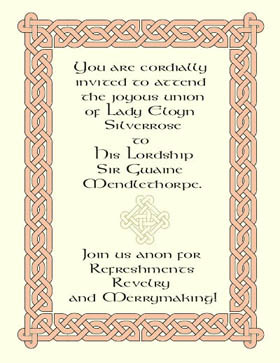 How does a font make designs? 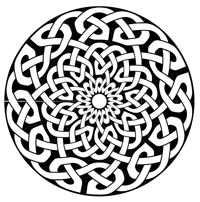 Each letter you type makes a piece of the design! 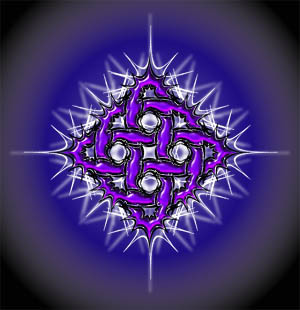 Put them together any way you want.